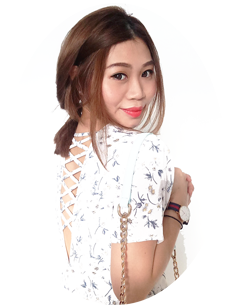 "There's nothing to do in Singapore. It's always just food and movies" - Now, this is a common statement made by many around me. And I can't deny I am guilty of it as well. 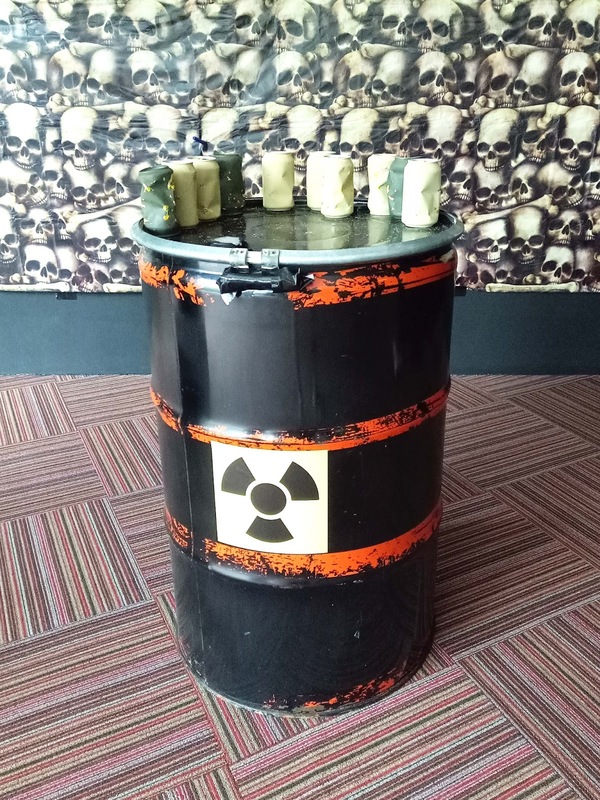 Thanks to Hendra from Trapped Escape Room, I found a new place to hang out with my family and friends. 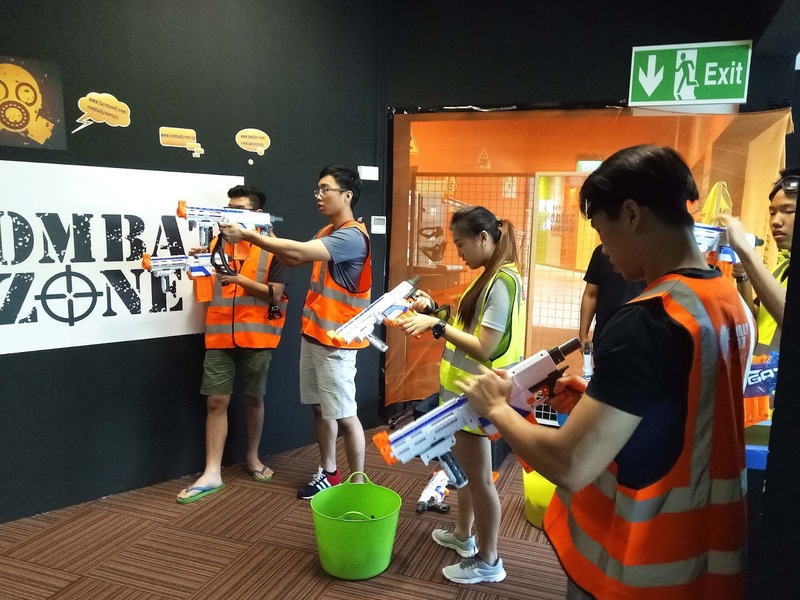 Founded by the same group of people from Trapped Escape Room, Combat Zone is the first indoor air-conditioned shooting area that uses NERF blasters. In case you are wondering what NERF blasters are, they are actually toy guns made by Hasbro that fires foam darts and balls. With the invitation, I gathered my siblings and friends and brought them down to the arena for a day of fun. 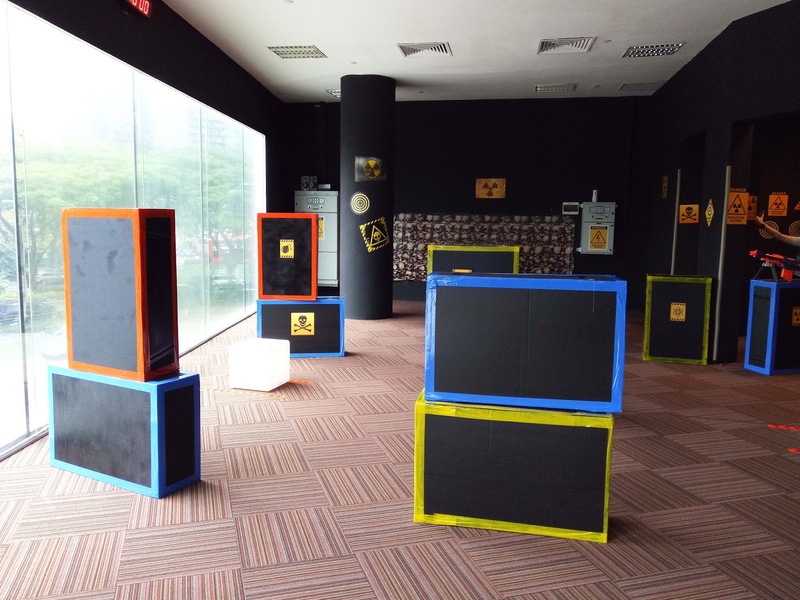 The arena isn't exactly spacious but it was well equipped with obstacles and boxes for hiding. 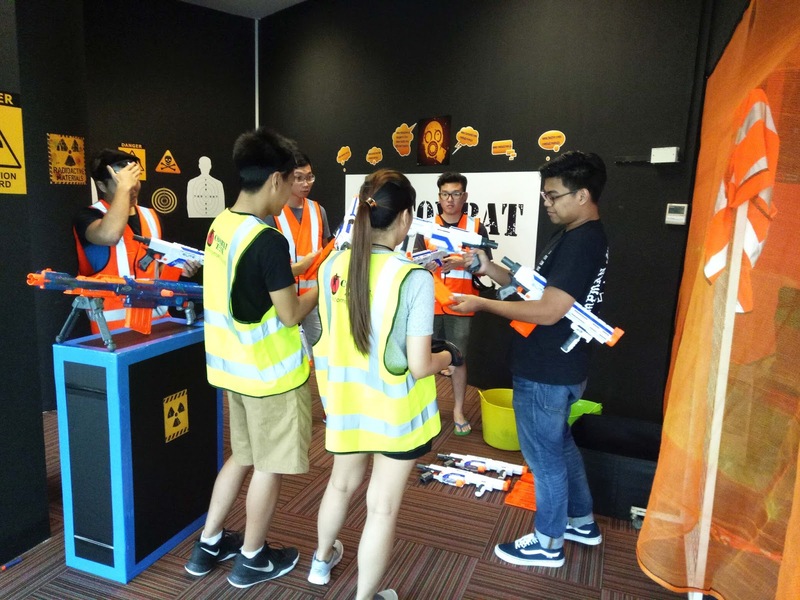 Before the friendly battle match begin, safety goggles and vest were issued. The minimum number of players to start the game is 2, and maximum 10. 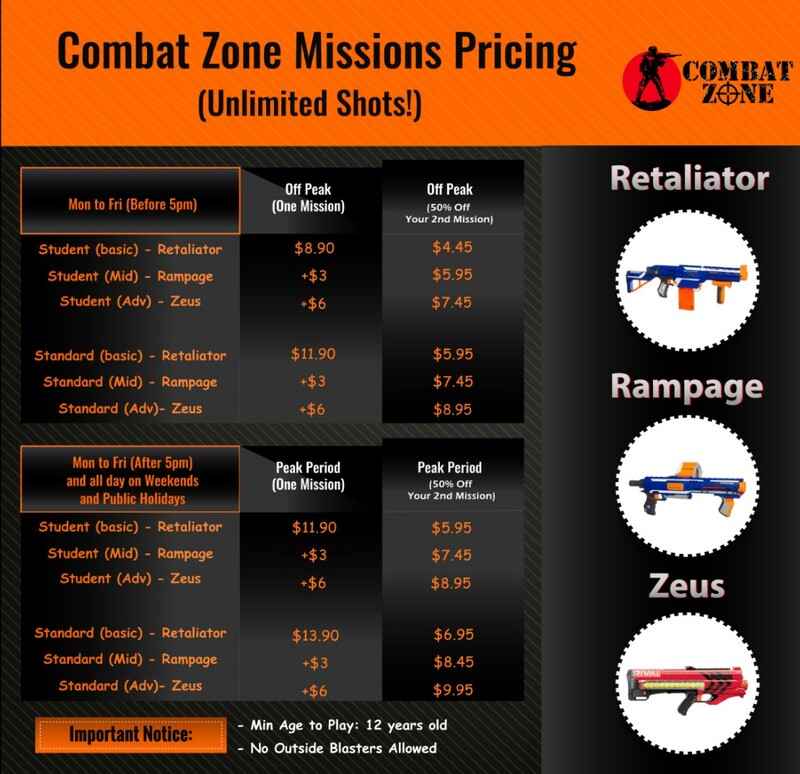 I would recommend a full 10 pax game (5 per team) for maximum fun and challenge! 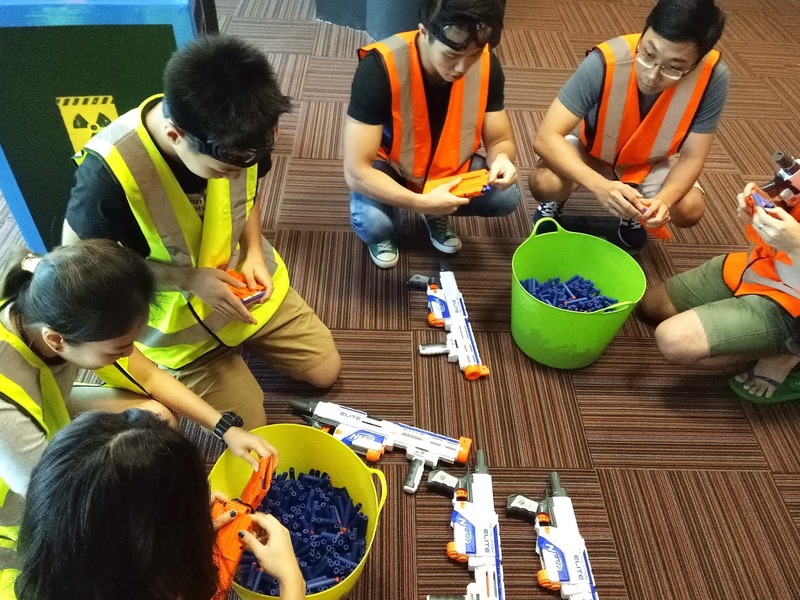 We were brief with the rules and regulations and given a period of time to test out and get use to the NERF blasters. We were in a battle of 3 by 3 and the guys definitely had no problem figuring out the loading of cartridges or accurate shooting. 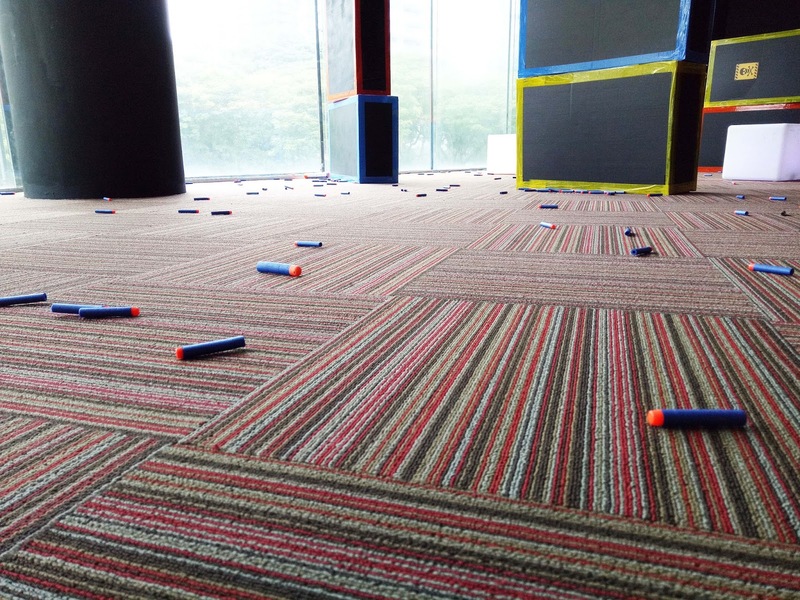 By the time we were done with practice, everyone was already hyped up and ready to get the foam darts flying ha-ha! After nearly 2 hours of battling, I have to declare... I NEVER HAD SUCH A FUN TIME FOR A LONG WHILE! Ha-ha! Sure I was dodging bullets and hiding behind shelter most of the time when the battle started, but by second half of the game, I was bravely approaching my opponents and grabbing my chance at shooting off the targets! Not to mention how this is actually a pretty good workout session with all the dodging, balancing and quick reflexes movements. 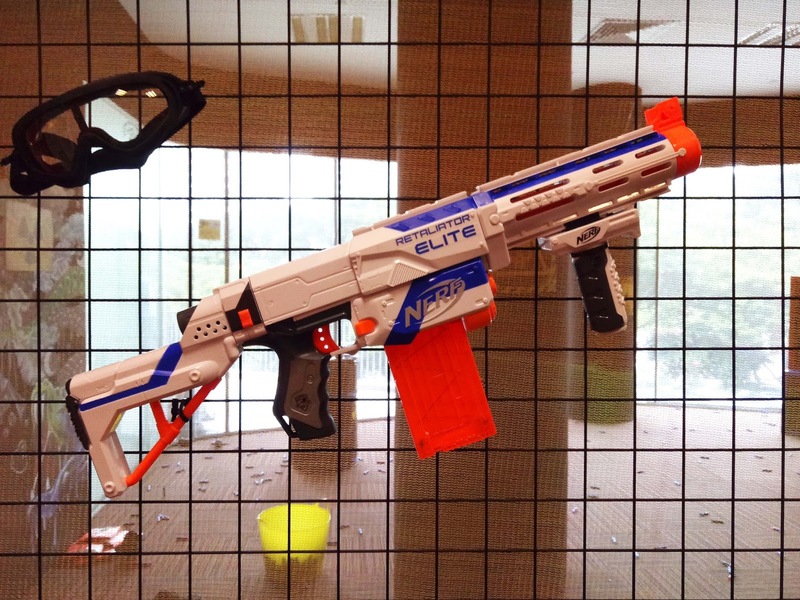 We were all equipped with the Retaliator for the standard package and it comes with free flow foam darts for reloading and mind you, the darts comes in big buckets! Occasionally, reloading could be an hassle as the cartridge could get stuck. But thankfully, the friendly game marshall is always there to assist any issue. Thumbs up. 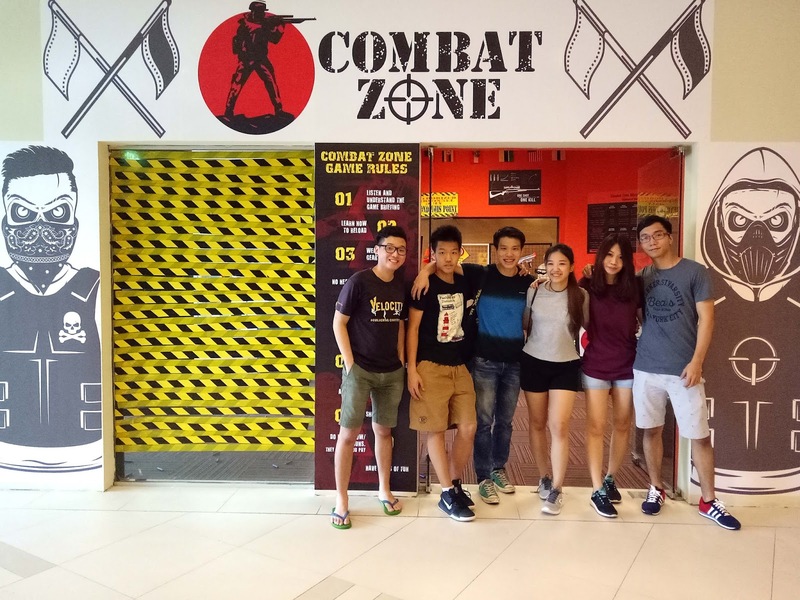 Thank you Combat Zone Singapore for hosting my team and me, we had an amazingly fun time! 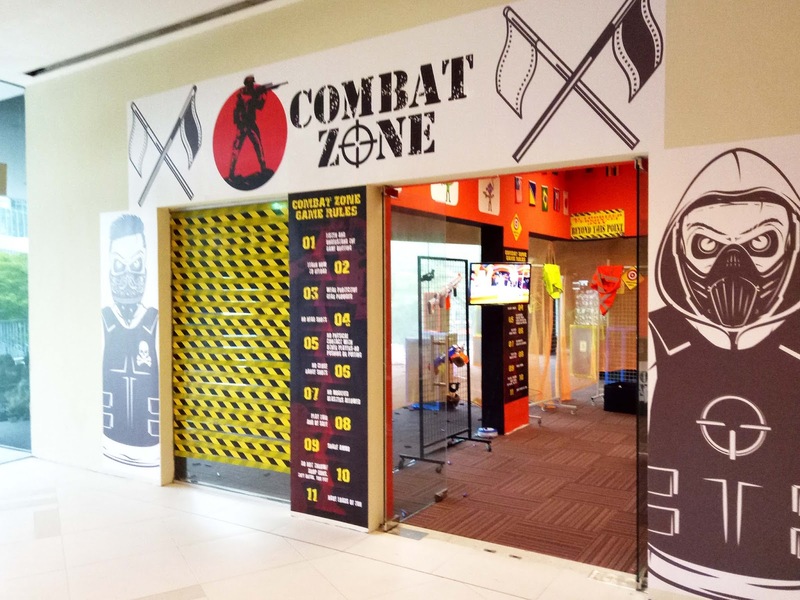 If you are looking for a weekend activity to do or looking for a place for team building, Combat Zone is recommended :) For more information visit Combat Zone or their Facebook page. Horrible experience. Equipment continually jammed and was trouble-shot by the attendant. Guns changed but more jams. In the first 10 minutes it was obvious the equipment wasn't designed for this purpose. A $199 experience for a family of 8 was aborted after the first Mission. No apology. No refund for other Mission offered.